Coupon Code CLICK HERE FREE $10 ITUNES GIFT CARD WITH PURCHASE OF TIMEX GPS WATCH. 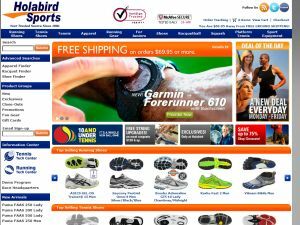 Coupon Code click here to claim buy a Holabird Sports Gift Card Bundle and receive 10% back to use on your next shopping. valid during 2011 holiday season. Found a coupon for Holabird Sports? Copyright © 2009 topdealcoupons.com. All rights reserved.